Are your clients described on your site? Can your clients ‘see’ themselves anywhere on your site? Is there sufficient detail so that clients will read it and say, ‘that’s me’? Does your site include testimonials from representative clients, or case studies of typical matters you handle so that clients can see the kinds of people or businesses you represent? Does your site accurately describe the legal problems/challenges faced by your clients? More likely than not, your website gives a laundry list of practice areas. But does it talk about the specific problems your clients encounter, or the situation in which they find themselves at the time they’re seeking your advice? 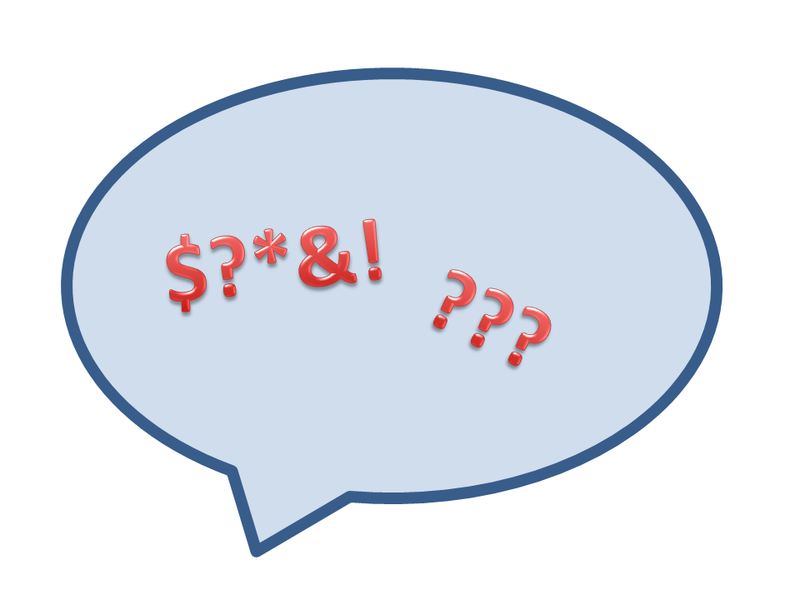 Does your site talk about your clients’ problems in language your clients understand? Or does your site sound like a bunch of legal gobbledy-gook? Are the terms you use on your website the same terms your clients use to describe their problems or challenges? Use the ‘mother/child test’ – if you read your site to your mother or child, would he/she immediately understand it? Are navigation buttons clearly labeled? Are they easy to find? Do navigation buttons look like buttons? Is there navigation available at both the top and bottom of your web pages? Is your contact information easy to find? Is your site easy to read? Are paragraphs and sentences short? Are key points highlighted or set apart from the rest of the text? Do you use headlines, bold type and spacing to give the eye a rest? Is your site easily skimmable? Does your site provide valuable information to clients to keep them returning to your site? Is your site a resource for your clients or merely an online brochure? Do you provide clients with information, resources, case updates, facts, new information that could affect their business, changes in the law that might affect them? The more relevant content that is on your site, the more clients will keep returning. You’ll build credibility, loyalty and provide fodder for search engines. Does your site establish you as an expert in your field? Does your site contain case studies or jury verdicts to demonstrate your expertise? Does it contain statistics, testimonials or other evidence of the results of working with you? Are there published articles on topics relevant to your clients’ business, challenges or legal problems? Do you list seminars and speeches you’ve given on your practice areas? If this information is listed on your site, is it easy to find? Is it listed in an organized fashion, by date or by category? Does your site pass the ‘so what’ test? Clients read everything with the “what’s in it for me” mindset. To be really effective and grab clients’ attention, you can’t just describe your office, your practice areas and your attorneys’ qualifications – you’ve got to answer the ‘so what’ – how do those things benefit the client? Don’t just say it – show it. If your site says that you’re committed to learning the client’s needs and understanding the client’s business, you must demonstrate that on your site. Show that you know what your client’s needs are by telling a story, providing a case study, or talking about your clients’ businesses (in general terms) on your site. Do you walk clients through your site and tell them what to do? You wouldn’t let a client wander around on their own in your office looking for an attorney’s office, the restroom, the conference room or the coffee machine, so why let them wander around your website on their own? ‘Signs’ (navigation buttons) alone aren’t enough. Give your client a tour and lead them through your site by providing suggestions about where to go next, or proposing an action step. A client who gets lost, can’t find what they’re looking for, or doesn’t know what to do next is just as likely to click away from your site as they are to go back to the navigation bar to look for something interesting to read on your site. Does your site demonstrate the difference between you and your competitors? Your site should be a reflection of your firm’s personality. It should give prospects an idea what it will be like to work with you and highlight the benefits and advantages your firm provides. Clients are looking for people ‘like’ them, or people they can relate to. If your site is too ‘flat’ and clients can’t get a good feel for the firm from it, they’re likely to move on. If you have been in practice for any length of time, sooner or later you’re going to get stuck with a difficult client, or at least a difficult client conversation. Uncomfortable client conversations can arise for multiple reasons. Sometimes those reasons have more to do with the client than with the lawyer, but every attorney-client relationship contains two players, so you need to be aware of the ways in which you might be contributing to the problem and the ways you can contribute to a solution. The best way to deal with truly difficult clients is by not taking them on in the first place. That requires that you be able to identify potentially bad clients early – preferably before a retainer is signed so that you can avoid them entirely. 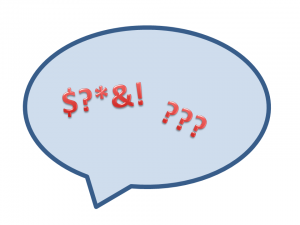 Make a list of bad client warning signs to help you identify potentially difficult clients. (See this blog post for tips on identifying bad clients). Evaluating whether your firm is the right fit for the potential client. Pay attention to what your gut is telling you when you first meet with clients – if your gut tells you the client is not right for you, don’t agree to the representation. If you’ve already hired a client that isn’t the right fit, consider firing them. To effectively attract and retain good clients, you must communicate the value of the services you offer. Know what is important your potential clients and be able to differentiate yourself and your service from the others in your practice area – not just when you’re trying to attract new clients, but throughout the engagement. Relate your services to the benefits to the client. Everything you do should be based upon the clients’ perspective – what’s in it for the client? How does each of the activities you undertake advance the client’s goals or contribute to their desired outcome? It is crucial that you discover, and help shape, the client’s expectations at the outset of the engagement, and that you continue to manage them throughout the engagement. 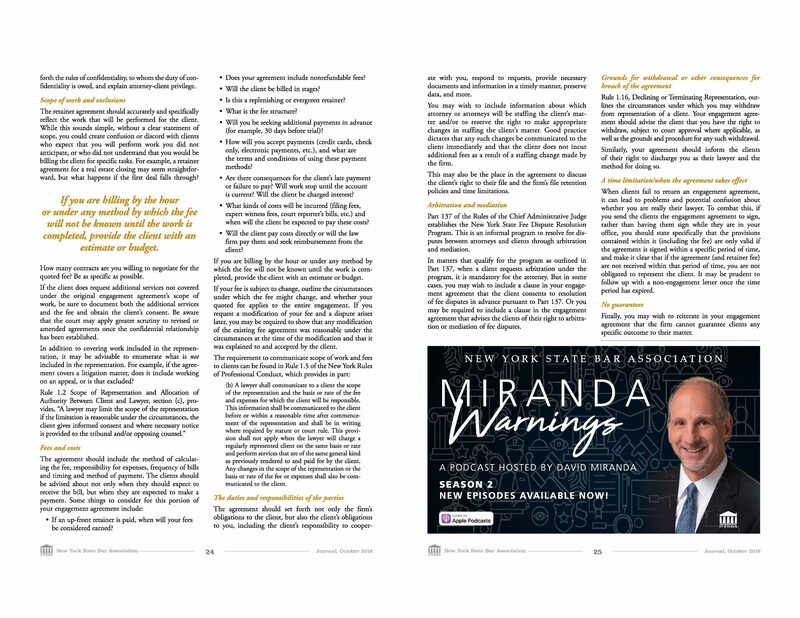 In her article, “How to Handle Difficult Clients,” in the July/August issue of Law Practice Magazine, Justice Carole Curtis notes that clients have expectations not just about results, but also about service, time and costs. If the client’s perception of ‘service’ is something more or different than what you provide, the client will always be dissatisfied, regardless of how good your work is. It’s your job to manage expectations in each of these areas. For more tips on managing clients’ expectations, see my posts Tips for Managing Client Expectations on the Legal Ease Blog or Managing Client’s Expectations on Lawyerist. Often confrontations arise when the unexpected occurs. 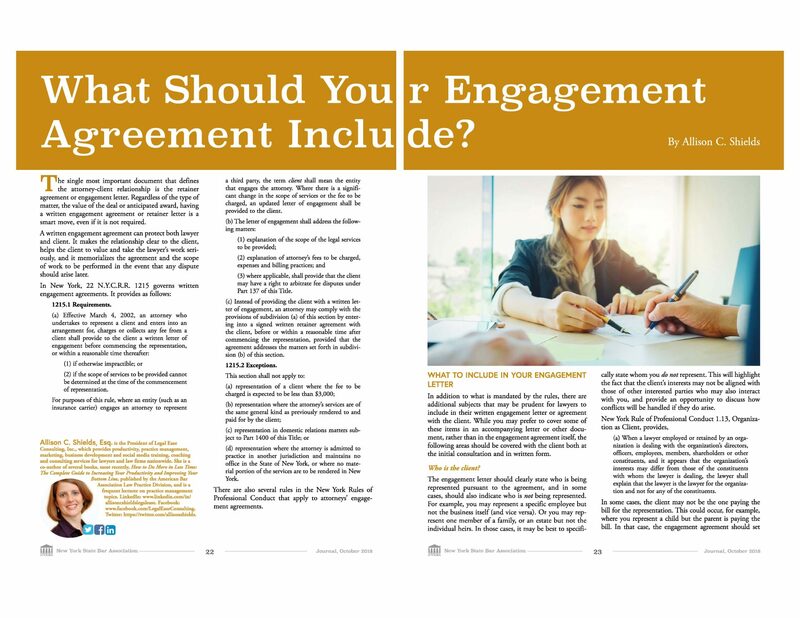 You can reduce many common difficult client situations by being prepared and setting boundaries at the outset of the engagement. Clients who can’t abide by your processes or boundaries will often self-identify themselves, offering you the opportunity to explore the situation before a confrontation occurs or the chance to decline the representation. There’s no reason to tolerate an abusive client! Keep the client updated about what’s happening with the case. Don’t make clients ask you for a status; be proactive and provide regular updates, even when nothing is happening. If you need to make a staffing change on the file, give the client a heads-up; don’t wait until the client receives a bill with a new attorney’s name on it or receives a phone call from a new attorney in your office they don’t know. Always present your best work; even if it’s just a draft, it should be free of spelling and grammatical errors, typos and other problems. Always accompany copies of documents or decisions in the client’s matter with a plain language explanation of what the document is and how it affects the client’s case. Recognize that the client may not always agree with the course of action you think is best. Explain how the different options might advance the client’s stated goals and give your insight about consequences and potential pitfalls, but remember that ultimately, it’s the client’s job to choose the course of action. Document these conversations or follow up in writing. Under-promise and over-deliver, keeping the four areas of client expectation listed above in mind. Often, client problems or complaints arise out of disputes about or confusion over fees. Don’t nickel and dime your clients by charging them for items that really constitute part of your overhead and should already be factored in to your fees. Make sure your fees are fair and reasonable. If there is a change in your budget, big expenditures that need to be made, or if unexpected costs arise, advise the client as soon as you become aware of the change; don’t wait until the funds have already been expended or simply add it to your bill without discussing it with the client first. A client that doesn’t complain isn’t necessarily a happy client. And even happy clients may have additional needs that you could address. Obtain feedback throughout the engagement and upon its conclusion and act on that feedback when you receive it. Even if you have done all of the above, you may still won’t be able to avoid difficult conversations entirely. Even generally good or cooperative clients can become difficult at times, especially when you have to tell them something they don’t want to hear, or when they have a complaint. Sometimes conflict arises because clients don’t feel understood. Even business clients have an emotional investment in their legal matter, and many legal matters have high stakes, affecting clients’ finances, livelihoods, businesses, or their very lives. If you can guide the conversation in a way that makes clients feel understood, the conversation will run much more smoothly. Mirror the client’s concerns. Let the client tell you what the issue is, and then reflect it back to the client. This way, the client knows they’re being heard, and you ensure that you understand their issue. Focus on the client. The key to resolution is concentrating on the client’s feelings and the client’s desired outcome, rather than focusing on yourself, the work you have already done, or additional work that may be required. For example, if a client asks for something in a rush, respond by first acknowledging the client’s sense of urgency and how it affects their goals – not by telling them how much work you have to do or why what they’re asking is impossible. Lay the groundwork for bad news – and go slowly. Resist the urge to just ‘get it over with’ by blurting out the bad news all at once. When you know the client isn’t going to be happy about what you have to tell them, start out by acknowledging the client’s desired outcome or goals, introduce what you are going to discuss, or explain that there are a number of different strategies that can be employed to move forward with their matter. Be sure to give the client reasons for those options and for what occurred. After you’ve delivered the bad news, let the client know that you empathize with their position. Acknowledge the client’s feelings. Acknowledging a client’s feelings by saying something like, “I can tell that you’re upset about this” will begin to defuse the situation. Don’t let yourself get emotional or allow the client to push your buttons and don’t argue with clients about their feelings, whether you believe they are justified or not; you won’t change their mind and you are likely to make the situation worse. Let clients know that they’re not alone. If this particular problem is a common one, or many clients seem to be frustrated by the same thing (for example the Court’s delay in making a decision, or opposing counsel’s refusal to provide documents), let the client know that not only are their feelings valid, but that they have been expressed by others in the past. If you are similarly frustrated, let the client know; it can be a way of getting you and your client back on the same side. Work toward a resolution based on where you are now. Once the client is calmer and you’ve acknowledged them, you can begin to gather information that can help you to reach a solution to the underlying problem. Offer the client options for resolution, even if you can’t meet their specific demand. Don’t retreat or get defensive – it only escalates the confrontation. Get help. While these suggestions may seem simple, they’re not always easy to implement. Working with a coach or getting some client service training can help you develop the skills necessary to handle difficult client situations. Need help identifying bad clients or weeding them out? Want some training on dealing with difficult clients? Contact me for a consultation. A version of portions of this article originally appeared on JD Supra.